Artificial intelligence has been making its way into nearly every facet of modern life from self-driving cars to tagging photos on facebook. In such a human-driven industry like healthcare, many are skeptical about where AI will fit in. 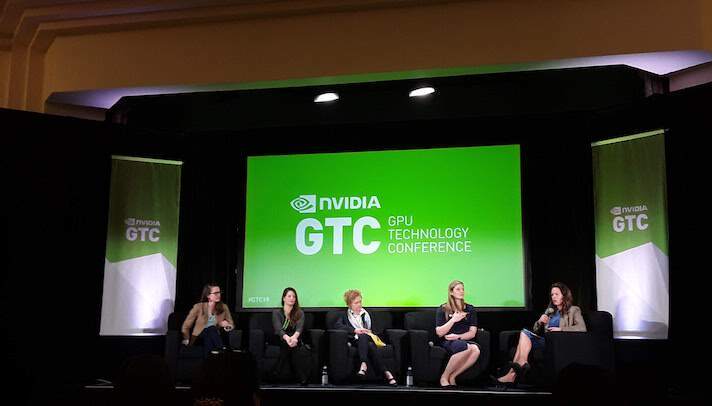 However, it doesn’t have to be human versus machine— rather, the future can be humans working with machines, according to panelists at the Women in Health AI event at the GPU Technology Conference in San Jose this morning. In order for the AI tools to work well in the clinical space it’s important to incorporate a diverse group of voices developing those systems. Powell said it’s key to understand the space that the technology is being developed for. Oftentimes that means starting with a problem and talking to clinicians. Radiology is one area of medicine where AI has been making headway. It isn’t about cutting the human out of the equation, so much as giving the human tools to improve care. Sahar Arshad, cofounder and chief operating officer at healthcare AI company CloudMedx, discussed how her tool was most effective when the human worked with AI. She referenced a study her company conducted where physicians took a mock medical licensing examination on their own, AI took the exam, and then humans and AI worked together. Implementing AI is really about looking at a problem and then finding the tools that could help tackle this issue, according to Karley Yoder, director of product management for AI at GE Healthcare. She compared it to other industries where the technology is already being implemented, as a possible avenue for how AI could work in healthcare in the future. Editor's note: This story is part of our coverage of GPU Technology Conference. Nvidia, which organized the conference, invited MobiHealthNews to the event and paid for travel and accommodations. As always, MobiHealthNews maintains its editorial independence and made no promises to Nvidia, including about the content or quantity of coverage.